Those who spend time outside are no strangers to yellowjackets and their painful stings, and you are likely wondering what you can do to avoid these pests. When you don't understand yellowjacket behavior, you are much more likely to get stung, but taking a look at what motivates them will get you moving along the right path. You will go outside without stress when you understand their behavior. Although you can never eliminate the risk, you can decrease your odds of getting stung by following a few tips. Since yellowjackets are social wasps and will defend their nest if they feel threatened, knowing where they like to build nests is a good move. yellowjackets conceal their nests for safety reasons, and you can spot them in attics, under porches and underground. These stinging insects can even craft nests near outdoor furniture and under picnic tables. If you plan to host an outdoor event, look in the common nesting spots so that you can avoid danger. Also, always look for yellowjackets in areas children like to play if you don't want them to run into problems. When your mission is to protect yourself and others from yellowjacket stings, take time to review the types of food they eat. Like honeybees, yellowjackets enjoy eating nectar, but they also like other foods and are not picky. Small insects are often targets of hungry yellowjackets, but these wasps will also search for and consume human food, so don't be surprised if a yellowjacket comes by to investigate if you eat outside during the warm months of spring or summer. The biggest difference between yellowjackets and honeybees is that yellowjackets are much more aggressive. Since they don't lose their stinger when they attack you, they can sting several times and won't hesitate to do so. yellowjackets are the most aggressive when they are near their nest, and avoiding spots that are likely home to these stinging insects will help. Some people panic and swat at yellowjackets when they are near, but that will increase the odds of aggressive behavior. Staying calm and still when yellowjackets land on you is the best way not to get stung. Even though learning about yellowjackets will go a long way to prevent stings, you must take another step if you want to get the best possible outcome. The team at Sorenson Pest Control will look for and eliminate yellowjacket nests on your property so that you won't need to worry about them. 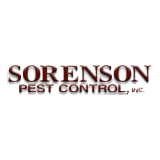 If you want to learn more about us or how we can help, contact Sorenson Pest Control and we'll be happy to answer your questions and concerns. We proudly serve a number of locations, including Oroville, so be sure to check out our service area to see if we can make it out to your home or business!